The day is fast approaching: Father’s Day. 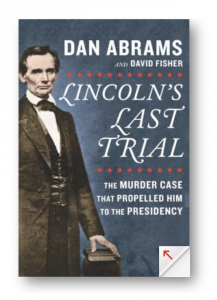 I am willing to bet you have forgotten to get your dad a present. Do you have any ideas at all of what you want to buy him? No worries, here is a quick list of 10 different things you COULD get your dad this Father’s Day! As much as we would rather not hear yet ANOTHER dad joke, it’s their day. 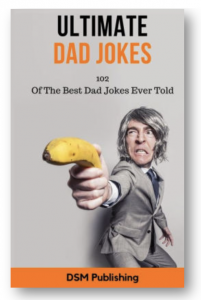 Time to encourage the terrible yet hysterical dad jokes we hate to love. After a long day at work, or a long day working in the yard what does dad need? He needs an ice cold beer. 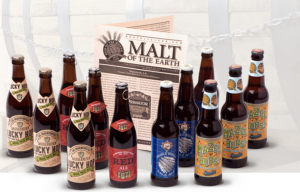 What better way to make dad smile than to have beer delivered to his FRONT DOOR every month! Dad may not be a beer guy, he may need his coffee to function in the morning, or some nice herbal tea to get to sleep at night. What better way to show your love than a funky mug! A road trip + dad + hamburgers, could you have a better weekend? 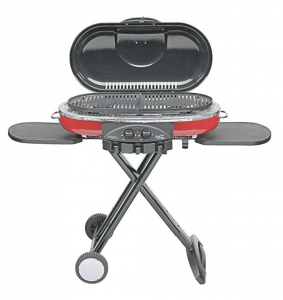 Honestly I might just buy one of these for myself, but your dad will be thanking you for this grill. It is portable and he can take it ANYWHERE! Fishing, camping, or your backyard – it works! Does your dad like to workout? Maybe you guys like to run together! 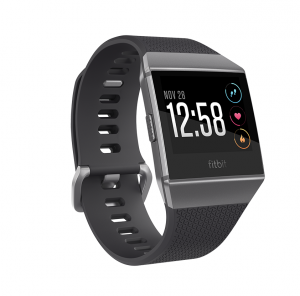 Well here is the perfect gift that will track his heart rate, steps and physical activity and so much more! There are so many different fitness trackers out there you are sure to find one that will be perfect for your dad and in your price range! 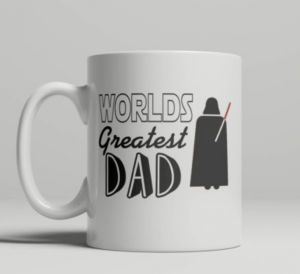 A simple but awesome gift to give your dad this father’s day. 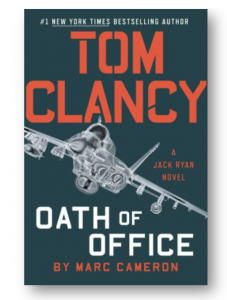 Maybe he likes war stories, maybe he likes books about America or maybe he likes a good mystery, but I don’t think you can go wrong with a good book. Here are some suggestions. 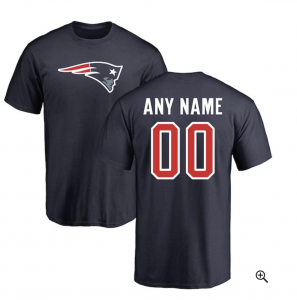 Football season is quickly approaching! Get dad all set up and ready to go with some new football gear so he will be ready to cheer on his favorite team! The most coveted device that everyone needs to have is an Alexa – it’s time. Does dad have one yet? If not let’s get a move on and get him an Alexa. 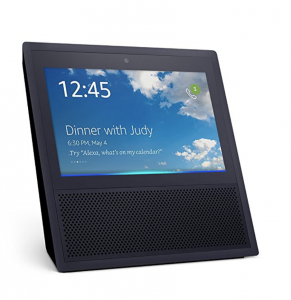 There are many different ones you could purchase from the Echo Dot to Echo Show (pictured). Let Dad have the internet right there at the tip of his tongue…all he has to do is ask Alexa! Does your dad’s closet need an upgrade? 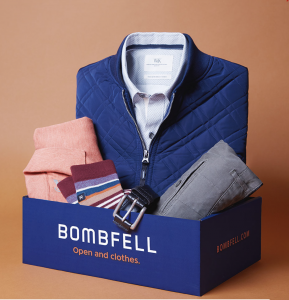 Maybe you don’t have the time to take dad shopping, maybe dad is bummed with how his wardrobe looks, well Bombfell is the personal stylist subscription box that will deliver new clothes to his front door and you just pay for what he keeps! Sometimes you just don’t know what to get dad. There are too many options out there, well there is a solution: a gift card. 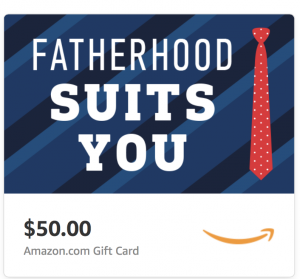 However you can’t get him just ANY gift card, get him an Amazon gift card because then he can truly get WHATEVER his dad heart desires!